One of the most persistent mistakes people make is not fitting in with their work environments. Fitting in enables you to both get and keep a job. In terms of what it takes to succeed in the long term, fitting in may actually be more important than your skill level. This little-known observation is lost on many people, and overlooking this can result in unhappy and unfulfilled careers. Conversely, being aware of this often results in very happy and fulfilling careers. The problem is that it is often the very best people and those with the best academics and technical skills who end up not fitting in. Having been raised to believe that the true success is measured purely by how well people perform academically, many people enter the working world like shooting stars. They arrive at the very best organizations and soon leave one organization for the next, and then the next. If they are smart, though, they learn the importance of fitting in; otherwise their careers quickly end, and they are left blaming a self-imposed set of circumstances and people for their career problems. I have been a legal recruiter for several years, and I am constantly speaking with firms that are hiring, laying off, and firing attorneys, paralegals, and legal secretaries. I am constantly seeing both good and bad things happening to people searching for jobs. The interesting thing about my work is that I often get firsthand accounts regarding why people are getting hired and why people are losing their jobs. If there is one thing that stands out to me it is that the people that get hired and keep their jobs are generally those who fit in with their surroundings at work. The people who are losing their jobs and are having the most problems landing employment are those who are not able to fit in. To get an interview with most organizations, you need (for the most part) to have certain qualifications. 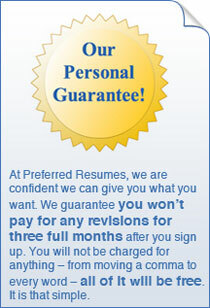 For example, if a company is seeking someone with three years of experience, you need to at least come close to this. If a company hires people out of the top third of their classes and from only top-notch universities, you also need to come close to meeting these qualifications. With very, very rare exceptions, though, once you get beyond these types of hiring criteria, you are going to be competing with a large group of people. Who do you think is going to get the job? I’ll tell you exactly who is going to get the job: the person who meshes best with the hiring committee. Most professionals presume that the most important thing that employers are looking for in an interview is whether or not they have the skill set to do the job. Whatever the qualifications of the job may be, the fact of the matter is that employers would not even be interviewing you if they did not think you could do the work. Whether you are applying for a blue-collar opening or a c-level position, virtually every employer out there is smart enough to know that you can be trained to do the work for which you are interviewing, even if your skills are not immediately on target. Employers may use your skill set as an excuse NOT to hire you after the interview. More often than not, though, the person who gets hired is the person employers feel would fit into their organization best. B. What Is Fitting In? The remarkable fact is that the concept of fitting in will vary depending on the organization you join. Fitting in will mean something different if you want to work for the government or military compared to if you want to work for a private company or a public interest organization. Fitting in simply means that you will be comfortable around your coworkers and they will be comfortable with you. Fitting in can also be akin to being part of a family: Everyone may not be the same; however, everyone shares a certain set of beliefs and philosophies about the world. Your employers do not want to feel uncomfortable around you, nor do they want to feel as though you are going to be critical of them. Your employers want you to embrace, on philosophical and moral levels, their approach toward business and the world. Your employers want you to get along with everyone in the office, and not to be a source of tension. Your employers want you to identify with them and be sympathetic toward them. To your employers, you should seem like a kindred spirit, someone toward whom they can take a maternalistic or paternalistic approach. The more easily you are able to meet these needs of your employers, the more likely you are to get hired and remain employed once you are with a particular organization. While the analogy is far from perfect, an employer, in many respects, can be viewed as akin to an immediate family member. In any family, there are likely to be a variety of different personality types. Nevertheless, most families share a lot. They tend to share the same religion (or lack thereof); they tend to share certain values; they tend to have similar beliefs about the importance of education; and they may enjoy doing certain activities together. They are also likely to come from a similar economic background and to know a lot of the same people. These commonalities bind family members together on multiple levels, despite all of their differences. These commonalities are what make the family cohesive. For you to fit in with an employer, you need to be seen as a member of the family. To do that, you need to be bound to the employer by a set of commonalities. On its basest level, going to a good school or getting good grades may be enough to break the ice. This is not something that enables you to fit in over the long term, though. In fact, having a shared experience and outlook toward the world is the one thing that is likely to help you the most. This is the essence of fitting in. The most successful people are those who are able to fit in with their employers’ environments. At the risk of not being PC, I will simply note a few things. If you examine most organizations closely, you will almost always notice some very strong similarities in terms of the types of people that are most often hired. The people are never the same; however, their tolerance (or lack of tolerance) for certain types of behavior is usually quite similar. In addition, many organizations are comprised of people with a very similar set of life experiences. Many organizations may be male-dominated bastions, made up of groups of men with an affinity for football. Other organizations may be comprised of a great deal of former military men. Other organizations may be dominated by people of a certain race, religion, or even sexual orientation. Whether or not any of this is “correct” is not for me to say. What I will say, though, is that none of this is the least bit surprising. People want to be around others with whom they feel comfortable and share a similar set of experiences. And this brings me to another significant point that few professionals ever take the time to realize. You cannot fit in with every group of people. Certainly there are companies and employers in every city of the United States that are considered the most prestigious. You may have the academic and other qualifications to go work at these places. The question that is important, though, is not whether you have these credentials but whether you fit in. You are likely to experience the most success and longevity in your profession if you find an organization where you fit in. If you do not find an organization where you fit in, you may be in for a rough ride. The drive to succeed for certain people dictates that they only go to the hiring organizations that are universally recognized as the best. Job seekers often ignore the concept of fitting in in these cases, when it is really the most important aspect to consider, in my opinion. I would like to walk you through a typical career from (1) being hired out of school to (2) being hired laterally after working for some time to (3) being a senior person in a company. While you are in school, certain employers will generally only interview you if you (1) are coming from a certain level of school and (2) have a certain grade point average. Once you get the interview, though, it is all up to you. The most important factor determining whether or not you get a position will be your ability to fit in. Many of the best minds in every profession are not able to get positions in prestigious companies precisely because they cannot fit in. There are, of course, companies out there that will hire people because of their sheer academic prowess. Indeed, the better your school and the better your academic performance, the more likely it is that employers will look the other way if you do not fit in perfectly. Nevertheless, at least on some level, you are going to need to fit in. As you move down the food chain in terms of your school and academic qualifications, the importance of fitting in increases. If you are currently working at a Fortune 500 company, take a few minutes to consider the following. The people with the worst academic qualifications are often the people that fit in the best. They act as people from the company are expected to act. They have the right level of professionalism. They get along the best with others. These same people are often the ones who do best in the long term in their chosen profession. The ability to fit in will only continue to increase throughout their careers. I want to give you a couple of illustrations from my own law school experience. In my second year of law school, I was in an interview with the hiring partner of a law firm that, quite frankly, was at such a rarefied level that I did not think I deserved to be interviewing there. This high-powered law firm came to my law school (a top-10 law school) and only interviewed five people for a half hour each before jetting back to New York. Most other high-powered law firms came to our school and interviewed candidates all day long. Some even interviewed for a couple of days straight. Suffice it to say that this particular law firm is often considered the very best New York law firm, and its interview schedule simply reflected the fact that it did not believe more than five people in the entire second and third year classes of nearly 800 students merited interviews. While I am sure that not everyone in my class tried to get an interview with this firm, I am confident that at least around 100 students did. I had no idea why I had been selected to interview with this law firm. The other four people that the firm was interviewing were widely known to be at the very top of their classes. While I was a good student, compared to those people, I was not all that special. I entered the interview cognizant that I did not belong there based on my grades, and I was surprised to see that the partner was very welcoming. During the interview he asked me when I could travel to New York. At the end of the interview, I rose to shake the man’s hand, and when he held his hand out, he gave me my fraternity handshake! I realized right then and there that this was the entire reason I had been interviewed. While I did not ultimately get this job (after a callback), I was the only student in my school that received an invite to visit this firm’s office, despite the fact that I did not believe I deserved the initial interview. If you think about what was going on in this situation, I am sure that something similar to this has probably happened to you in your own career or job search at some point. If I did not have the academic qualifications to be interviewing with this law firm, why did I get the interview? The reason was that the partner had been involved in the fraternity I was in, a small national fraternity with not too many chapters throughout the United States. He knew that I had endured some of the same hazing experiences he had endured when he was younger. He also knew that we had sung the same songs and been indoctrinated into many of the same philosophies. He probably took a liking to me because he saw me as being somewhat like himself. Many people who do not have a good understanding of the political nature of work environments often presume that the purpose of an interview is for the employer to gauge a candidate’s skills and technical acumen. This is wrong. People who succeed in interviews are people who the organization perceives will fit in the best. Every single job I have ever gotten, I have gotten because of this factor. The people that do not fit in with the group are always easy to recognize. They tend to be more critical of the group. They tend to create problems. Aaron and I decide to leave for the Silverado Ranch by car instead of taking the bus at 2 pm. You have not lived until you’ve ridden through three hours of Bay Area traffic with Aaron at the wheel. By the time we got to Silverado, he was madder than fire. The first reception starts at like 6 pm. There are finger foods, etc., and lots and lots of wine and beer. Not really liking any of the food, I start drinking. Heavily. By the time I know what’s going on, I’m talking to the name partner, Bill Fenwick, in a redneck accent. Of course, he is from Kentucky, so we talked about basketball for an hour. It was great. About 9 pm the charity auction began. There were lots of “Fenwick” type items, like a dinner cooked by the managing partner, etc. One of the items was an entire night chauffeured by the hiring partner, [John]. In my inebriated stupor, I thought that if I won this, then they would have no choice but to give me an offer. The bidding starts at $50. People are bidding here and there, but I get tired of all the slow bidding, so I stand on my chair, and hold up my bidding card–without getting down. So the auctioneer takes this as a cue to just start yelling price increases, without even identifying other bidders. So that just inspires more partners/attorneys/recruiting staff to contribute to Aparna’s pool. When the bidding hits $3,400, I start yelling, on the mike, about how this isn’t fair, because she has partners bankrolling her, but I only have a “few scrubby summers in my corner.” I keep trying to bid only like $5 more than her, but the auctioneer gets all mad at me, and is making me bid in hundred-dollar increments. When her bid hits $3,800, I get back on stage. After some banter, the auctioneer asks me if I want to bid $3,900. This particular e-mail was rapidly circulated among most summer associates in large law firms around the United States after it was written. From a social standpoint, the reason this e-mail was so widely circulated is that it shows the antithesis of fitting in and highlights the importance of doing so. Regardless of where you work, chances are that you will be working close to a relatively small group of people. Because you spend so much time at work, these people are going to become quite aware of your style of work, your personality, and like it or not, a lot of details about your personal life. In all of this, these people want to feel comfortable around you. In addition, they want to feel that they can develop a relationship with you over time. After you have been working for a few years and want to transition into a new employment environment, the importance of fitting in will arguably be further amplified. Shared experiences take on a different form when someone is trying to move laterally to a company. As a legal recruiter, my job is made easier by knowing the sorts of shared experiences that are likely to get people in the door in different law firms. For example, if someone is in Los Angeles and has worked for the Los Angeles office of a major New York law firm, I know that other New York-based law firms in Los Angeles are more likely to be interested in that attorney than Los Angeles-based law firms of a similar prestige level. The perception is that these attorneys will share a certain “New York outlook.” The same can hold true if one is moving in Palo Alto from one major law firm to another. He or she is more likely to be hired by another major Palo Alto firm than, say, somebody who has been working in another area of California. All of these similarities are based on shared experiences and the perception that these people will fit in. Certain organizations will simply not hire from certain other organizations (even those that are generally considered better than they are) because they believe that people from these companies will not fit in. Most often, these organizations will say things like, “These professionals are all too arrogant,” or something of the sort. When professionals are in the job market, an exceptional recruiter will instinctively know which candidates are likely to get interviews with certain organizations and which ones are not. This calculation is based first on externals such as the school and company the person is coming from; however, it is ultimately based on other important factors in the professional’s background that are often less evident. I believe one executive was hired for a $200,000-a-year job over more qualified candidates because he, like the CEO that hired him, enjoyed surfing. I believe one manager was hired because she attended the same religious group as the hiring manager. I believe one executive was hired because she had formerly followed the Grateful Dead, like a director in the company did. I believe one professional was hired because of his military background. I believe one executive was hired because of her ongoing participation in a controversial protest organization. I could continue this list indefinitely and give you countless examples. People always say things like, “You have to know someone there to get a job,” and so forth. Indeed, it does help if you know someone. The reason is that you have already proven that you can get along with someone who fits in with that company, which means you too will be more likely to fit in there. I know of dozens of instances at various major organizations throughout the United States where laterally hired employees with, frankly, horrible academic qualifications are working alongside people with first-rate academic qualifications. Why do you think this is? In many cases, these people with horrible academic qualifications may have some unusual and highly valued skill. Still, more often than not, I have discovered that these people knew someone. This is how things work in the world. If you fit in, you are more likely to get a job and succeed in an organization. I can also tell you that there are organizations out there that are somewhat racist and hire people that are likely to fit that mold. My purpose here is not to be judgmental. There are certainly other factors that organizations consider when making hiring decisions, too. Nevertheless, when all is said and done, many hiring decisions are the products of people’s ability to fit in. In order to survive in a company, you need people higher up in the company to be in your corner. You can get people in your corner by working hard. Nevertheless, there will always be people working hard in large companies. The people who most often get higher-ups in their corner are the ones who are able to establish bonds. These bonds will make people go to bat for the employee. These bonds will also humanize the employee to their employer and make it much more difficult for an employer to fire an employee. Most of the conclusions from this article can be derived on your own. You need to understand, however, that fitting in is probably the most neglected topic when it comes to discussions about success. Fitting in can be accomplished on several levels, and often you might not even be able to articulate why you do or do not fit in with a particular group. Fitting in is also something you cannot fake. You can often get a job without fitting in, but you will have a very difficult time keeping it and advancing if you do not fit in. When you were in elementary school, junior high school, high school, and then college, there was probably a group or groups you naturally fit into. Think back about the reasons why you fit in with those groups. Certainly, you have changed over time and will continue to change. The most important aspect of why you have fit in with various groups in the past, though, was based on how comfortable you felt with that particular group of people and how comfortable they felt with you. Your happiness and success in your career depend on the ability to recognize when you fit in and when you do not. The ability to fit into your work environment is among the most important parts of obtaining and retaining a job, even more so than your skill level. Fitting in means nothing more than being comfortable in one’s work environment, and making others similarly comfortable. Employers want to hire people who will embrace their approach to business and the world on physical and moral levels, so you must strive to fit in with their worldview. "Recently, I was laid off from a major corporation. I had no idea how I was going to come back from such a sudden and unexpected event. I came to your company hoping for a cover letter explaining my situation and was pleasantly surprised by your writer's tact. I don't think there could be a better letter phrasing. Thank you so much. I will let you know how things turn out in the next few months. Cross your fingers for me!"